5 January 2017. 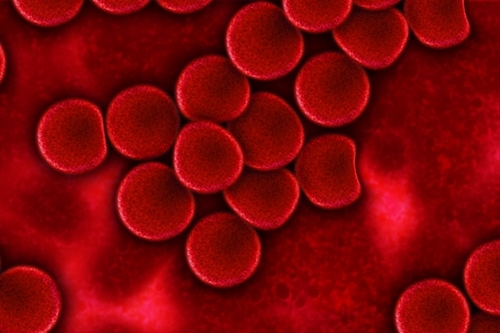 A pharmacology lab developed a process that directs light waves at circulating blood cells to release drugs stored in those cells at precise times and locations. The team led by pharmacy school professor David Lawrence at University of North Carolina in Chapel Hill describes its techniques in the 23 December 2016 issue of the journal Angewandte Chemie (paid subscription required). Lawrence is also the founder of the start-up company Iris Biomed in Chapel Hill developing light-activated therapies based on the lab’s research. He and colleagues started Iris Biomed in 2015. The university applied for a patent on the technology in April 2013, with Lawrence and colleague Thomas Shell as inventors. One of the Lawrence Lab’s key projects is the design of drugs triggered by light waves. Activating medications with light, say the researchers, makes it possible to reduce dosage amounts and thus reduce their adverse effects. Light-activation can also prolong the action of drugs at the precise disease site, and enable localized delivery of multiple drugs when combinations of drugs are needed. In addition, say the researchers, the process makes it possible to store drugs in the blood stream for extended periods of time for release later on demand. The technology requires storing the drug in a darkened environment, with an agent that responds to light to activate the drug. In the proof-of-concept paper, the team stores cobalamin, a form of vitamin B12 that attaches to drug molecules inside lipid, or natural oil, containers. The lipid containers with cobalamin and drug molecules are then absorbed by red blood cells. Light waves at specific frequencies trigger the light-responsive agent, breaking the cobalamin from the drug and releasing drug molecules from the blood cells. The waves specified for triggering the agent in this case were in the visible red and far-red, and near-infrared frequencies. The problem with these long-wave frequencies, however, is that they rapidly lose energy as they penetrate human tissue. The team needed a triggering mechanism that could respond to low energy levels, and found its solution in a fluorophore, an illuminating chemical that also attracts light waves. The researchers designed a weak linkage connecting the fluorophore, cobalamin, and drug, so the fluorophore would respond to even diminished light energy levels, with the team reporting that simulation tests in the lab show the technology works as designed. The authors indicate the technology is flexible enough to allow changing the light frequencies to activate different drug compounds, making it possible to administer multiple drugs at different sites and times in a patient with this technique.